Auction Date: Thu 09 Nov 2017, 3:00 PM | Longford Arms Hotel. 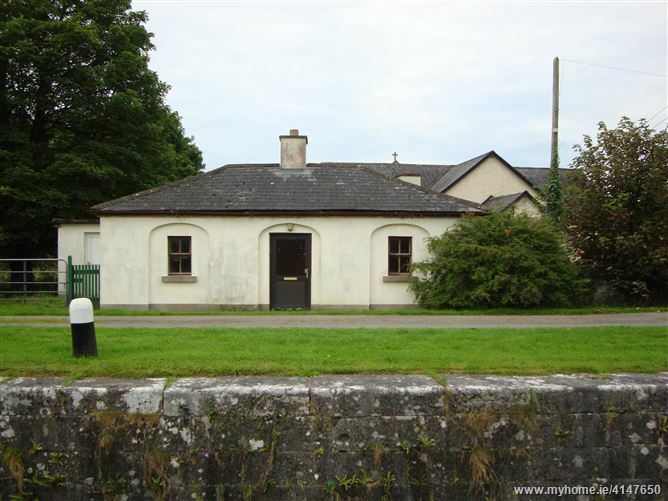 Located at Lock 43, beside Killashee village and the N-63 secondary route this Lock Keepers house, a protected structure, is steeped in history. Built in 1815 it could be your country retreat, family home or investment opportunity. Although extended and used as private residence in more recent times this unique property retains many of it\'s original design features including slate roof, recessed windows and doorway and cut stone cills. Accommodation Includes : Entrance porch 1.7 x 1.2. Living room 3.8 x 4.5 open fireplace. Kitchen/ dining area 3.6 x 3.6. Study 5.0 x 2.1. Bedroom 1. 4.5 x 3.5. Bedroom 2.3.7 x 3.0. Bathroom 2.0 x 2.0. Services : Mains water, sewerage treatment by septic tank, Electric storage heating. Site Area : 0.39 acres. Located adjacent to lock 43 on the Royal Canal and to the east of Killashee village this most interesting property will require refurbishment, however presents an opportunity which may not come your way again. To view, contact John on 043 3341176 or 086 8346559 at anytime. Legal : Brid Mimnagh & Associates, Church Street, Longford.